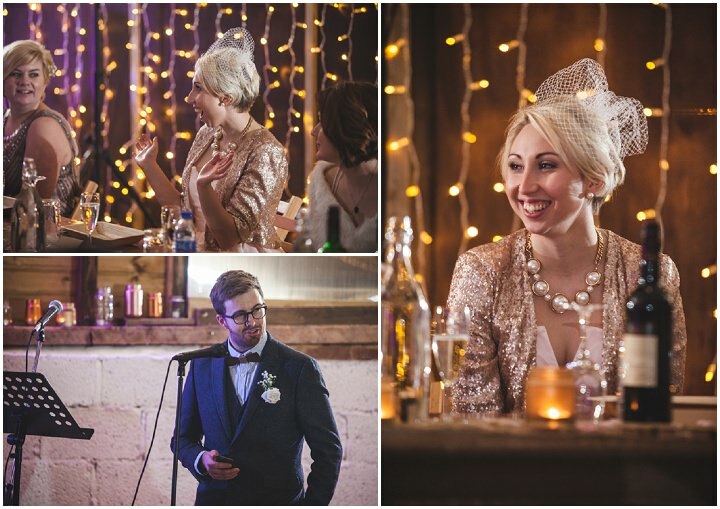 Todays wedding is a new years eve extravaganza! 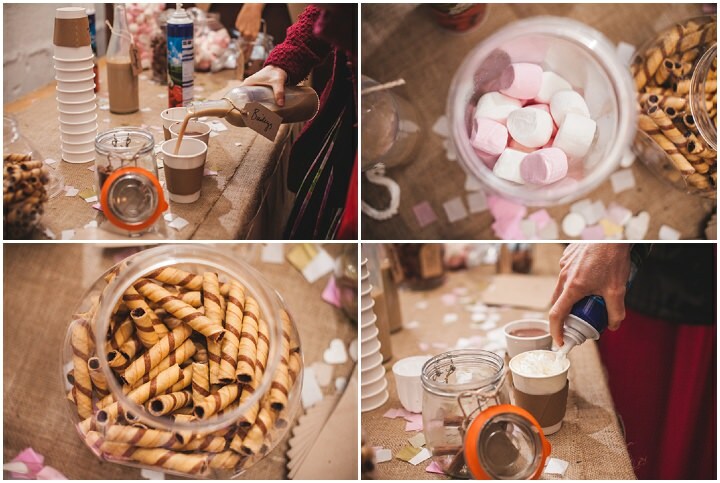 A wonderful DIY filled Barn wedding that took place at Furtho Manor Farm in Buckinghamshire. 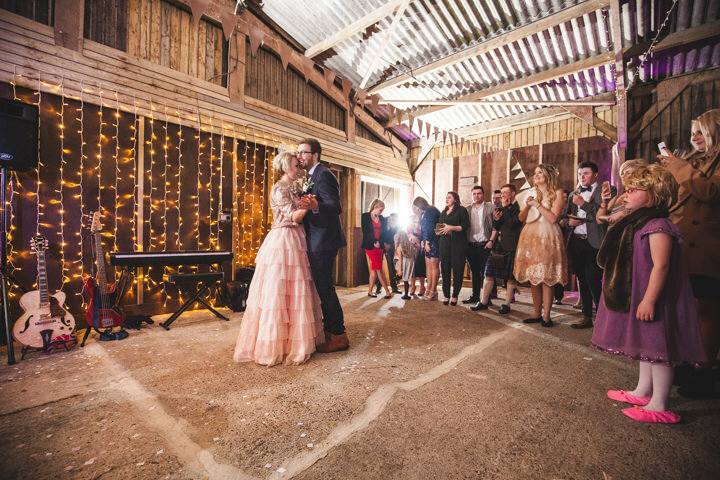 Liz and Nick picked a rustic farm venue so they could really put their own stamp on their day. 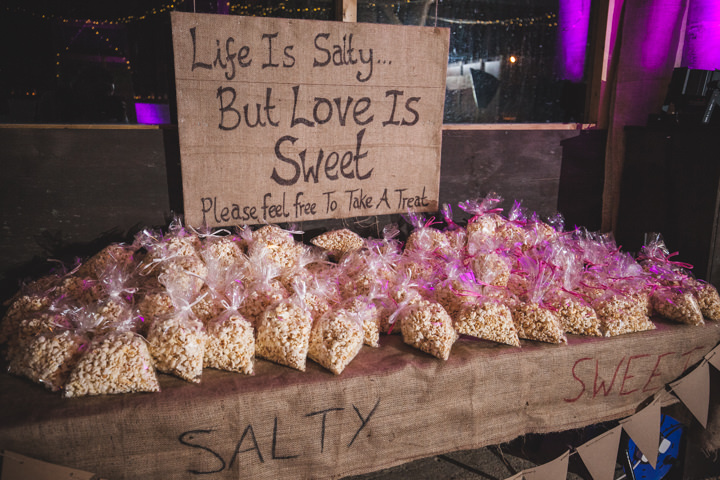 This they did with lots of fun new years eve elements, DIY projects and some really fab details. 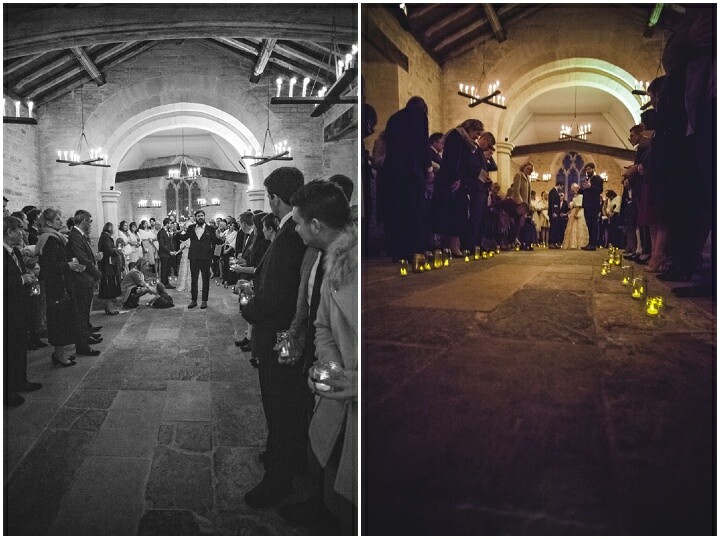 With a candle lit church, the ceremony was truly magical, beautiful to look at and full of sentiment. 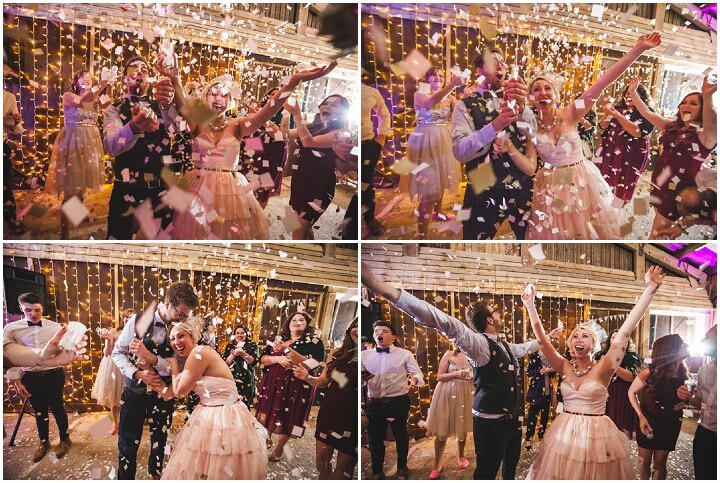 Then a fun, sparkle filled reception that not only celebrated their love but the new year as well. 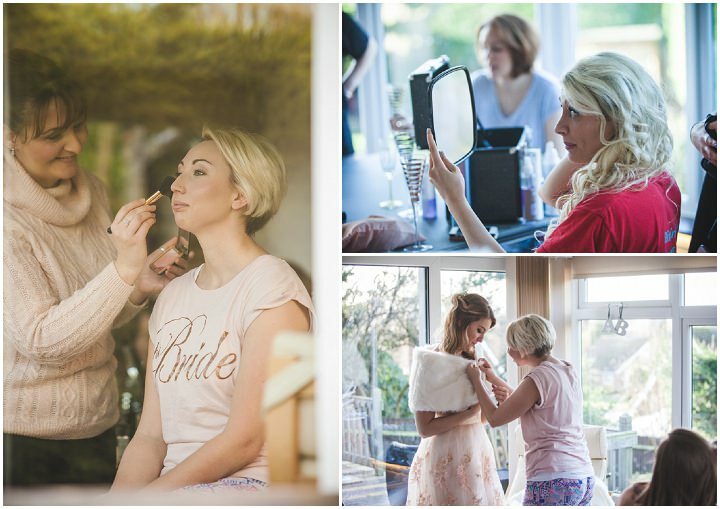 Big thanks to Will Reddaway Photography for the fabulous images. 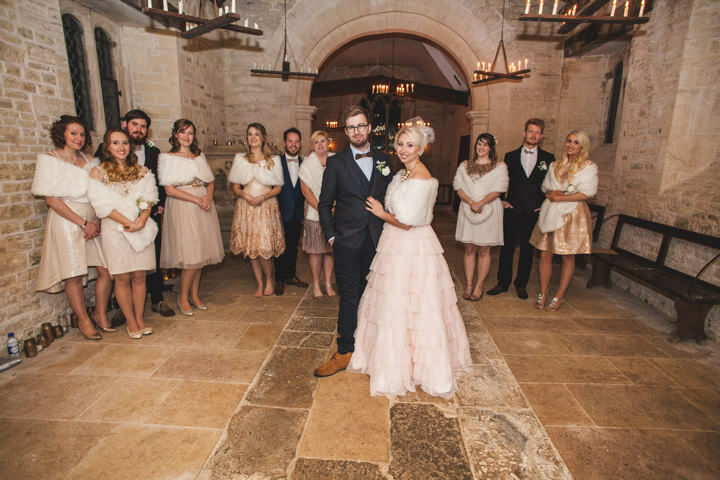 We met at university in London whilst studying Youth Work and Theology. We were together a year and 5 months before we got engaged, with the first 6 months pretty much in secret. Nick: The proposal started off as what appeared to be a casual dog walk over the woods. It was the middle of March on an overcast chilly afternoon, not particularly that much fun for being outside, also an unlikely day for a proposal. I had planned to propose to Liz in a clearing along the bank of the pond. My sister had gone ahead of us and was on the opposite bank set up out of sight with a camera to capture the moment. As we made our way into the woods and down a sandy track my nerves shot through the roof but I tried my best to keep my cool. I headed off the pathway towards the waters edge and my dog followed. Unfortunately, Liz did not! Unbeknownst of the circumstances she just wanted to head back to the car and there was no time to stop in the cold. It was at this point I realised Plan-A had failed. As well as my sister being on the opposite bank to capture the proposal she had also set up a picnic basket just a little further along the pathway with some champagne for us to celebrate afterwards. I knew the champagne would be somewhere along the path but not sure exactly where! A minute or so later we stumbled upon the champagne already poured and Liz turned to me in total shock. I smiled and said, “so you might be able to guess why we came here today”. Liz’s face lit up, I pulled out a ring and her surprise level hit 100%. A few happy tears later we were engaged and celebrating with a glass of bubbly. We headed back towards the water to take some selfies to remember the moment; my sister also snapping a few shots from afar. 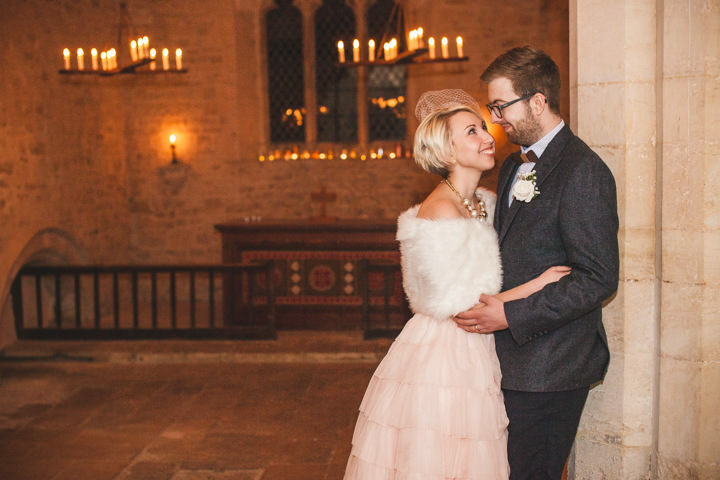 We splurged on having an incredible jazz band but saved huge amounts by having the wedding and reception at the same venue. 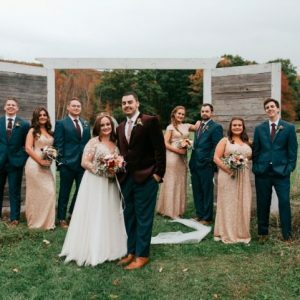 We also found a venue that was fairly new to the wedding world and they allowed us our dream wedding on NYE without adding a huge NYE/Wedding premium. It was easy! 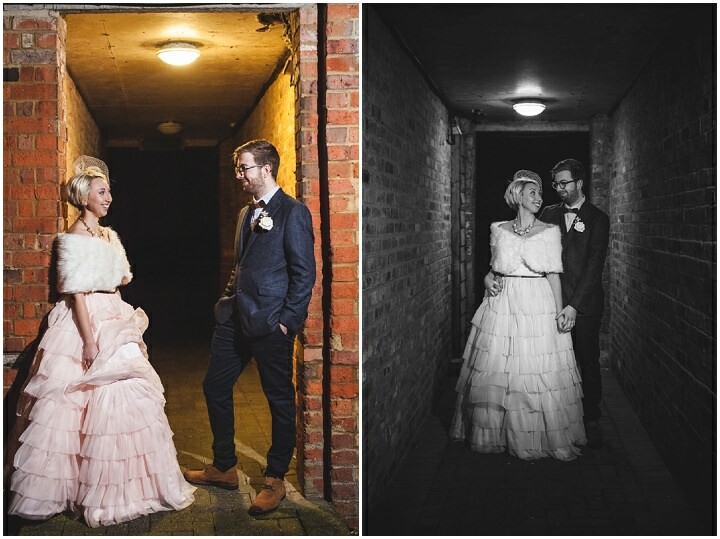 As an already established professional wedding photographer, and best friend, I knew that I wanted William Reddaway to capture our big day! Total bargain! 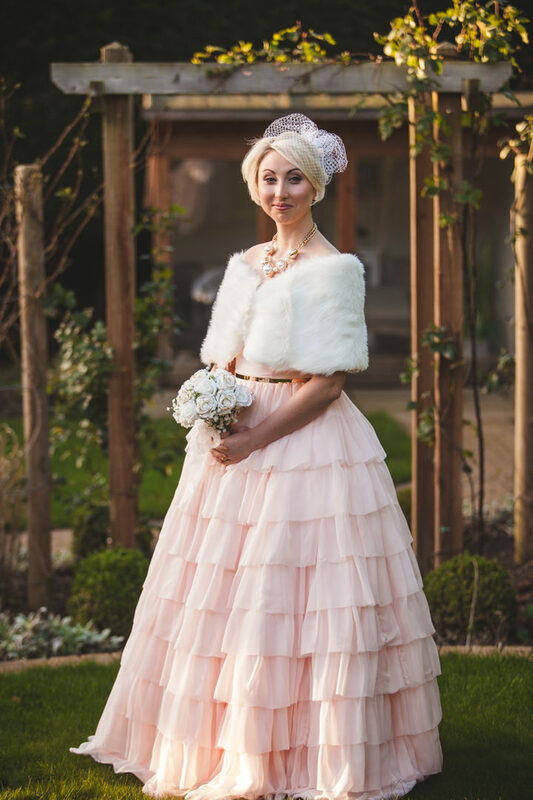 I didn’t want a traditional white wedding dress so I looked for more ‘occasion wear’ and found my dress on ASOS by Fame and Partners. I styled it myself with a necklace and belt from ASOS along with some peal earrings I already owned. 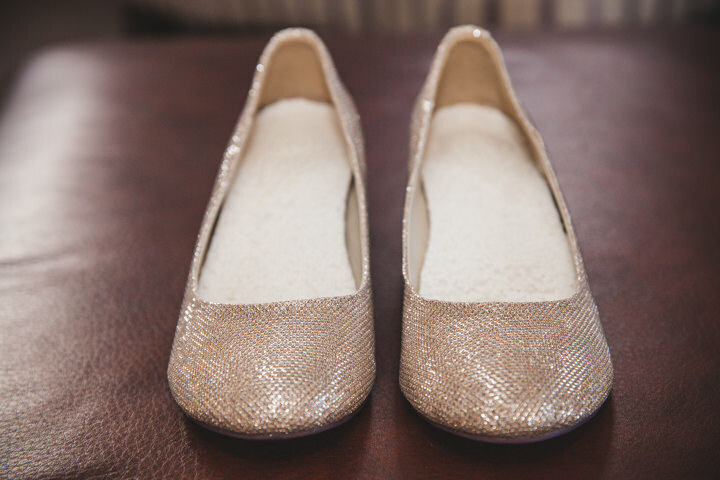 My shoes were from TK Max and in the clearance section too – bargain! 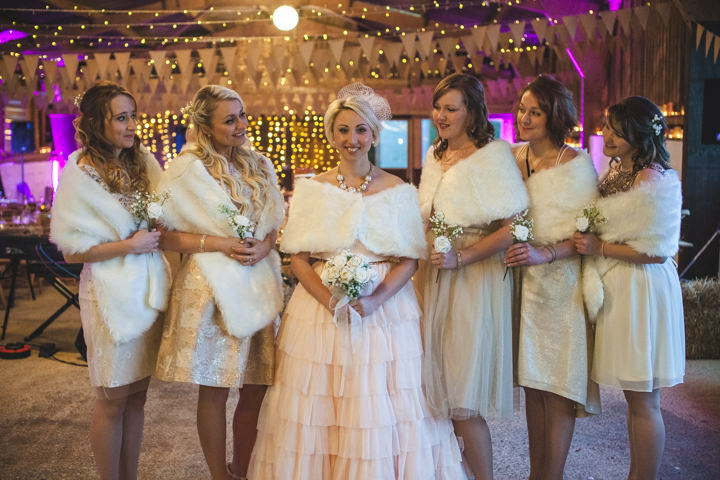 The girls and I wore fur wraps that were a great find on Ebay. 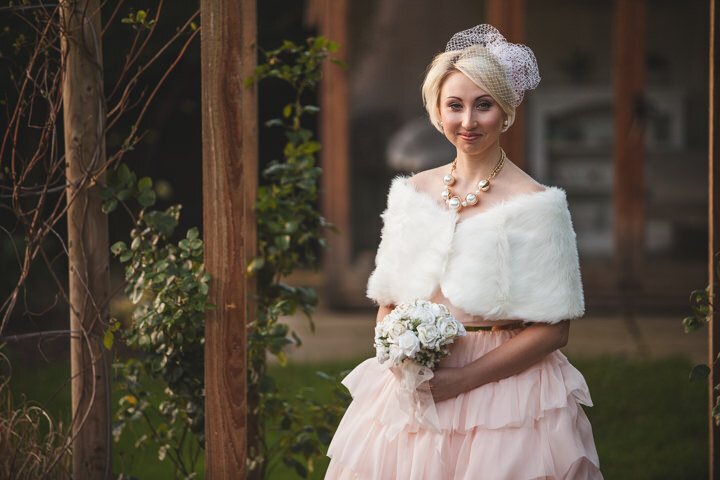 After the ceremony, I swapped my fur wrap for a little sequin number! I found a sequin blazer on Ebay and asked the semestrist who adjusted my wedding dress if she could make it into a short jacket for me to wear. 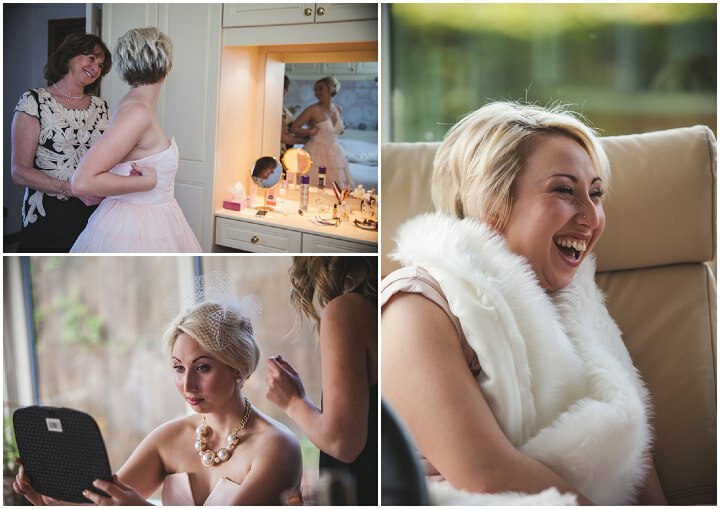 She did an incredible job and I loved feeling glamorous in my sequin jacket which added to the NYE party vibe! 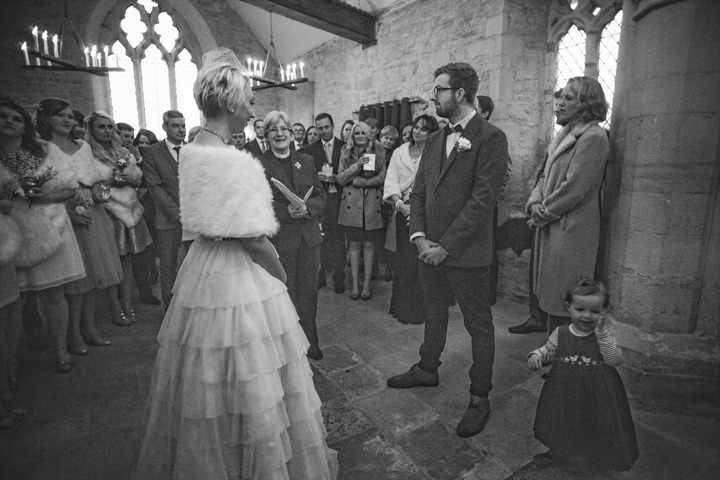 My husband got his suit from M&S and his shirt and shoes from TK Maxx. 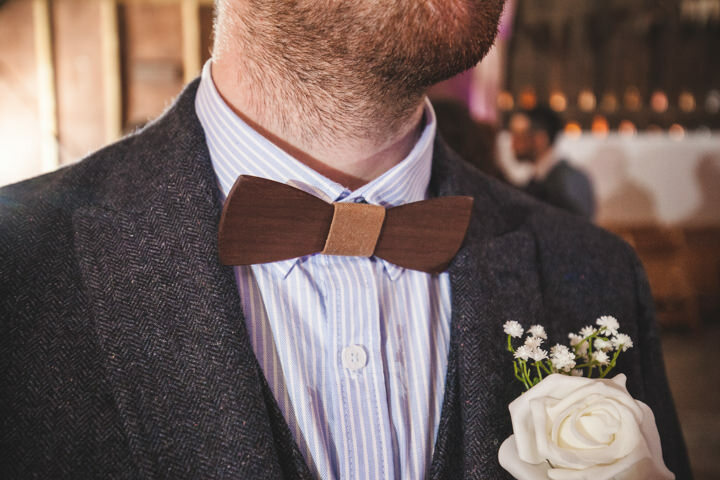 He got his wooden bow tie from Etsy – taking the hipster trend to a whole new level! We didn’t want all the girls to wear the same dress in the same colour, instead we decided to let them choose what they wanted to wear. We gave them the colour scheme and said it was up to them to choose their outfit. We posted them all an envelope with images of the kind of vibe we were going for. We asked them to all wear gold shoes and for the outfit to be knee length or above. It was fantastic! The girls looked amazing and it was a great way for them to feel 100% comfortable in an outfit that they choose. We did a similar thing to the guys, however it is slightly more difficult to make them all look so individual. We asked them to wear smart black jeans, a white shirt, brown boots and brown braces. They chose their own jackets too which added to the overall look. 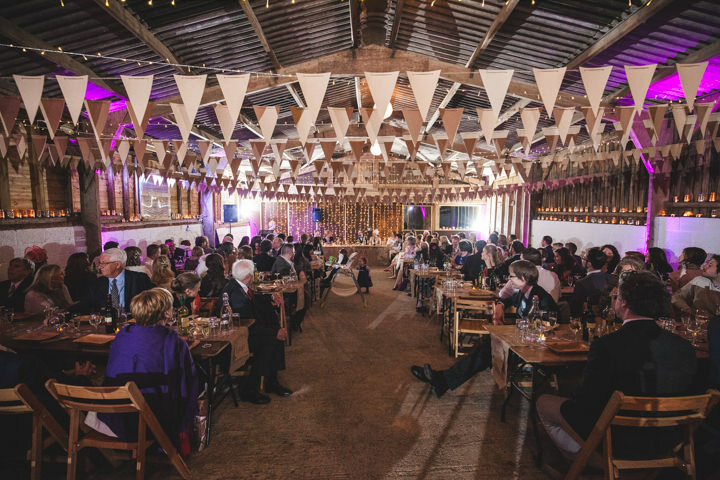 We wanted an authentic rustic venue – and you can’t get more authentic than a rustic barn that sheep are kept in and a medieval church! 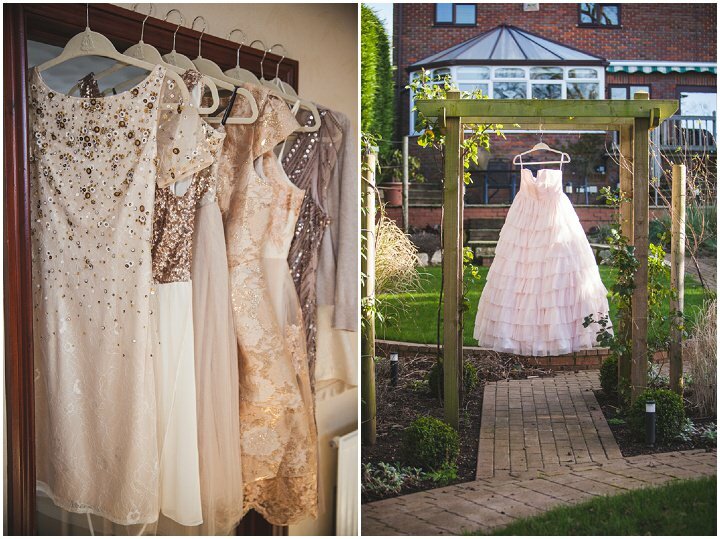 As it was New Years Eve we wanted a party vibe so we chose the colours gold and blush. 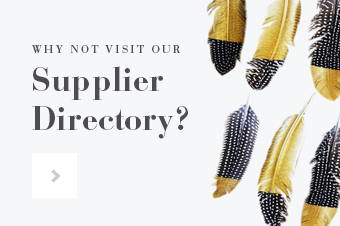 We added a whole heap of colours too it though – coppers, bronze, cream etc. 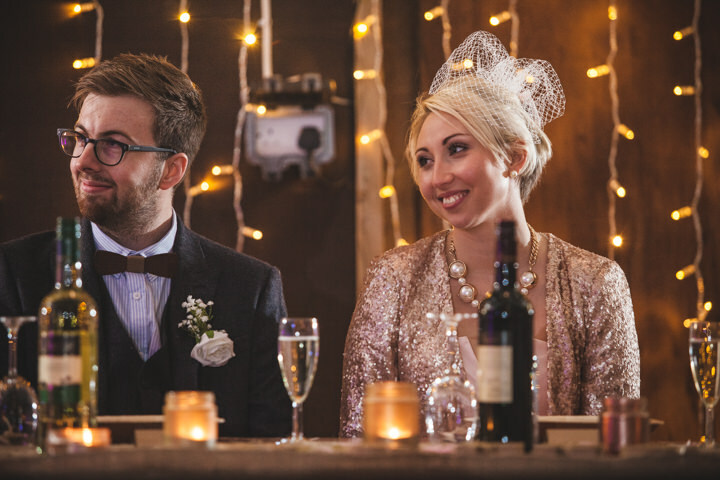 We wanted a handmade wedding by handmade people – it was imperfectly perfect. The church was entirely candle-lit. 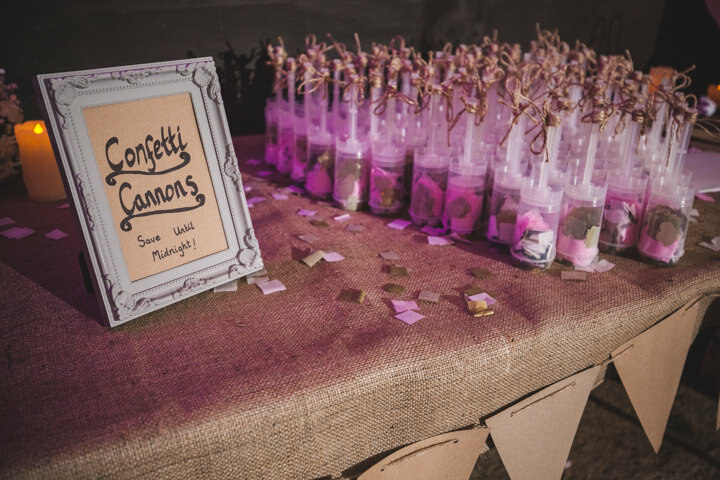 We had over 200 candles in chandeliers and jars throughout the church and we gave guests jars with LED tealights to hold. 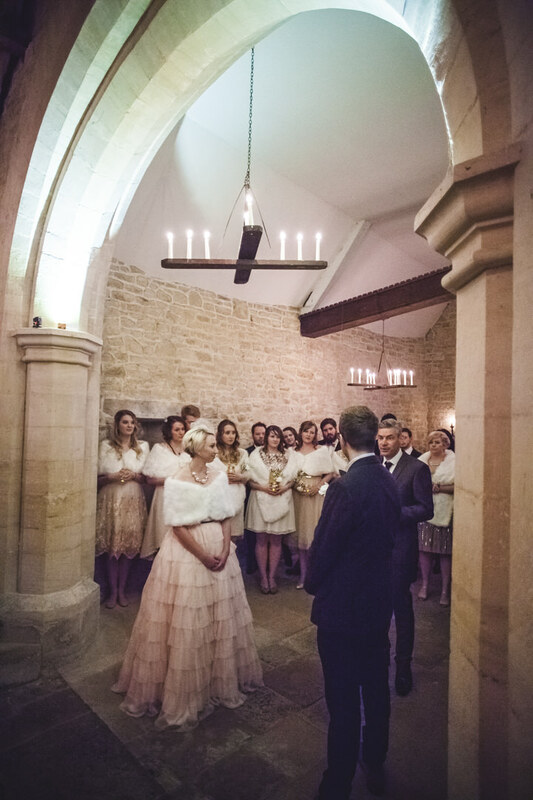 Without electricity in the church this helped it to feel intimate and one of a kind. 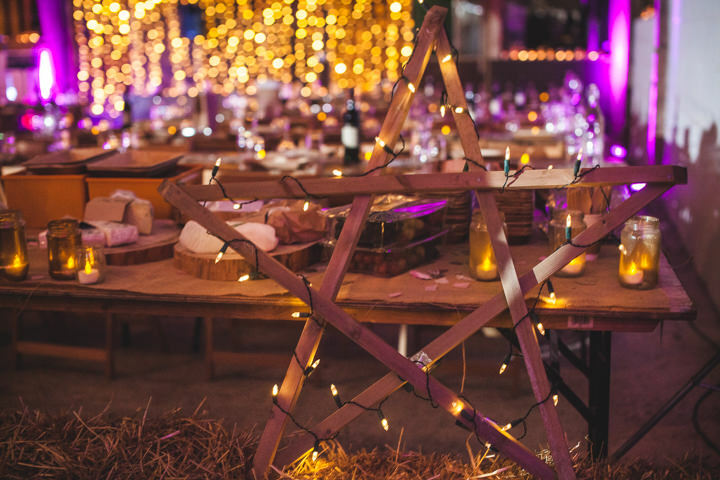 We used strings of fairy lights, tealights and a few uplighters to light the barn. 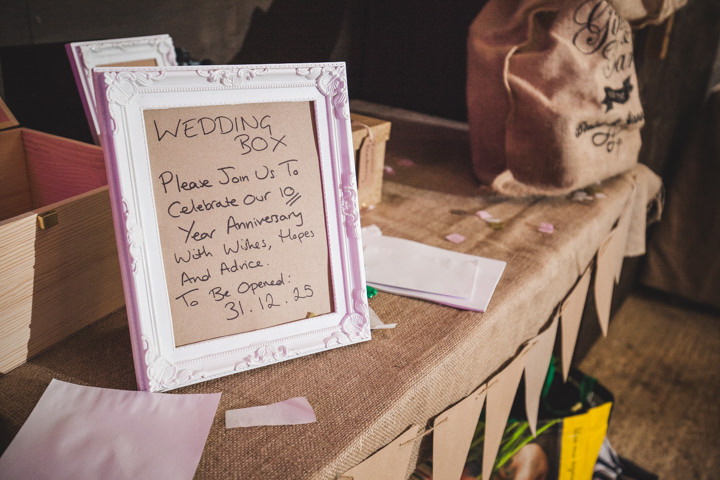 We had a whole bunch of handmade decorations – from bunting to wooden stars, handwritten signs to painted jars with candles! 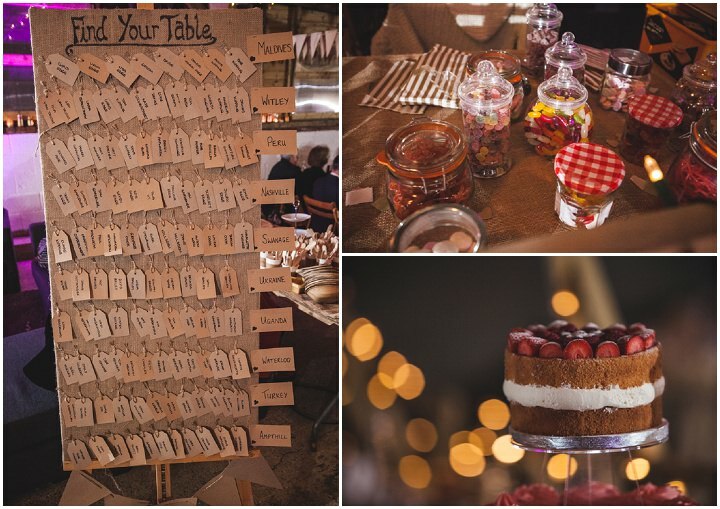 We created our table layout with rectangular tables of 12 people to be like a feast. 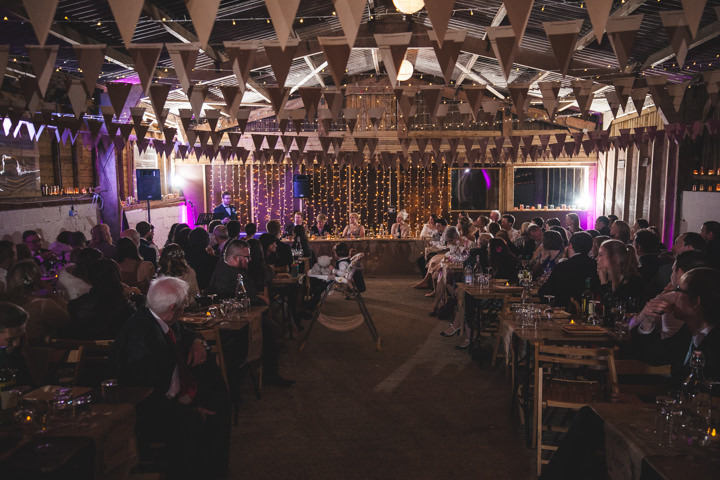 We used wooden tables with hand-made hessian runners, wooden plates and confetti to keep the tables simple but standing out from regular silver service with white linen. 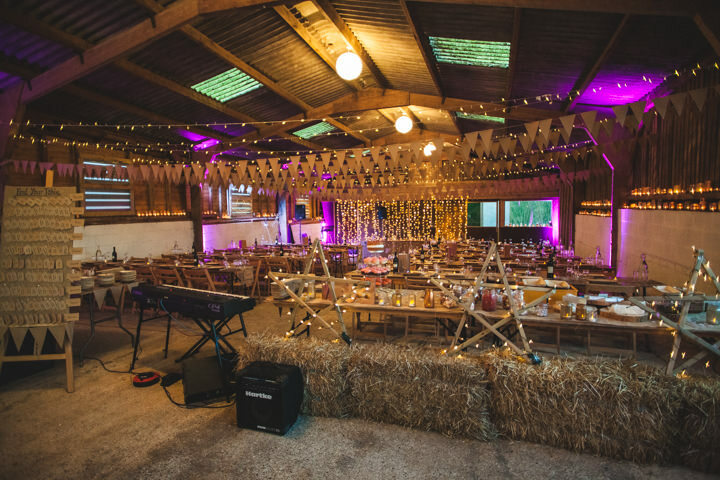 Having a rustic themed wedding meant that we could customise every aspect by creating decorations to transform an empty barn into an unforgettable reception and NYE party. Our catering was by an outdoor catering company. Instead of the traditional 3 courses we served platters of delicious food to add to the idea of sharing in a feast. The sharing platters included: barbecue rump steak, herby leg of lamb, tuna steaks with lime and coriander, jerk chicken, coconut prawn kebabs as well as a selection of salads and mixed breads. The variety of the platters meant there was something for everyone, and as soon as one platter was finished another was bought out. No guest was left hungry! My fabulous friend Katrina from ‘Kandy’s Cakes’ made our yummy cake. It was a mixture of different flavoured cupcakes with a victoria sponge full of cream and topped with fresh berries. Delicious! A jazz band! 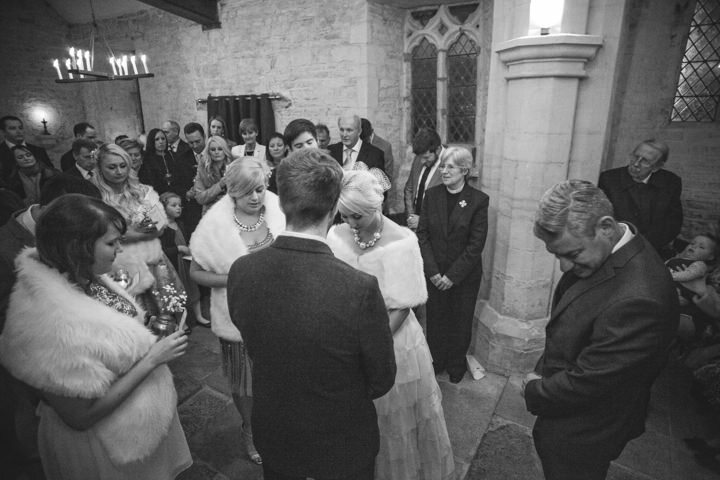 It was incredible and definitely one of the highlights of our wedding. So many compliments from our guests and some epic dance moves on show! 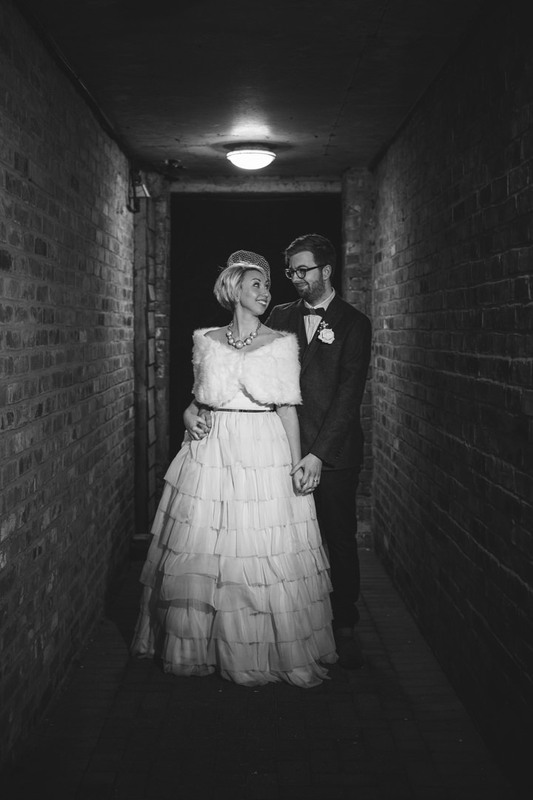 Gary and The Jazz Experience were great fun to have at our wedding and even spent some time in the photobooth! Later on in the evening we had a group of friends create their own band called ‘The Patrichts’ and they did covers and then we had the classic Ipod playlist with songs for seeing the new year in. 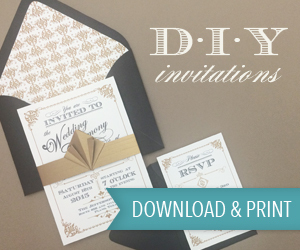 We made all our own invitations from scratch along with the order of service, place cards, general signage. We also bought a custom ink stamp to personalise invitations, envelopes and place settings. You name it, we made it. 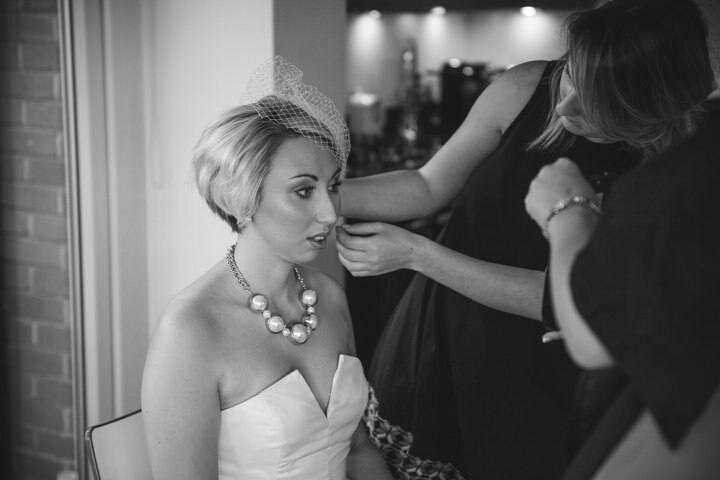 We had such a strong desire to have a wedding that was personal to us – not a hotel wedding that anyone could have. 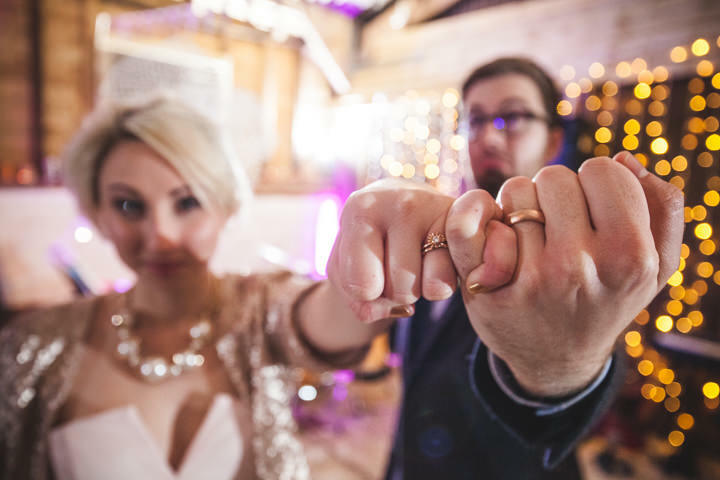 We asked one of our lecturers from university to marry us which was so special and meaningful. We also asked a group of friends to be apart of ‘The Entourage’ as apposed to bridesmaids and groomsmen. We all had a hen/stag weekend together which was entitled ‘The Entourage Weekend’ so everyone got to meet each other. We choose friends/family that have influenced our relationship and supported us from the beginning. A big theme overall for us was a strong sense of community. 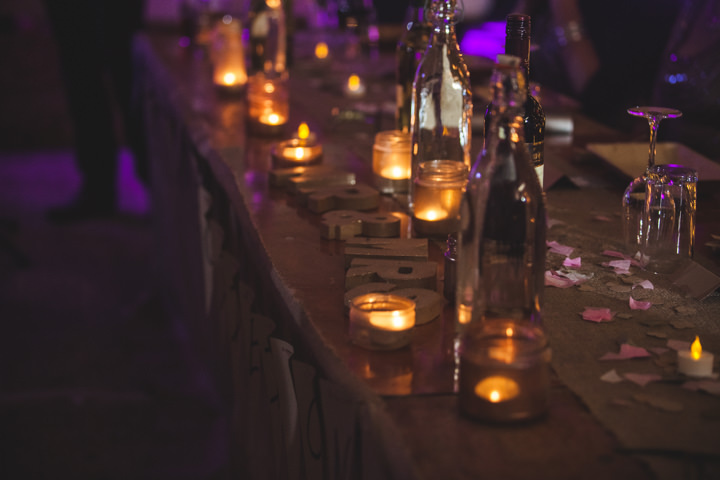 Therefore, in our ceremony all the guests received jar with a candle in it and used it to light a path for us to symbol them supporting us from the our first moments of married life. So to the music of ‘I Feel Good’ by James Brown we walked out of the church as a newly weds surrounded by our community. Perfect. The confetti cannons! And also, how meaningful our ceremony was. 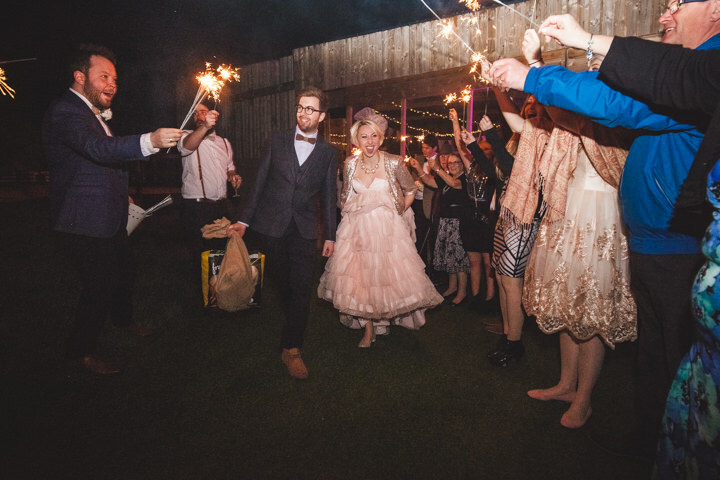 We believe in community and it truly did feel like our community was lighting the way as a new Mr and Mrs as we walked out the church. A precious moment we’ll never forget. 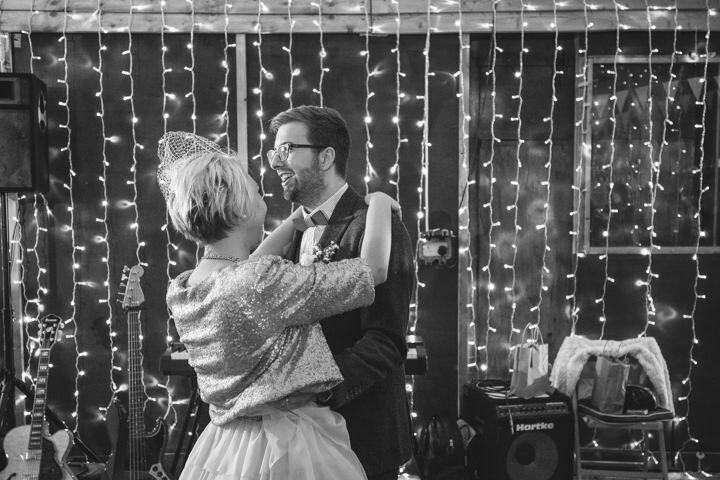 Having a jazz band play the Red Hot Chilli Peppers for our first dance was pretty epic too. Enjoy yourself! 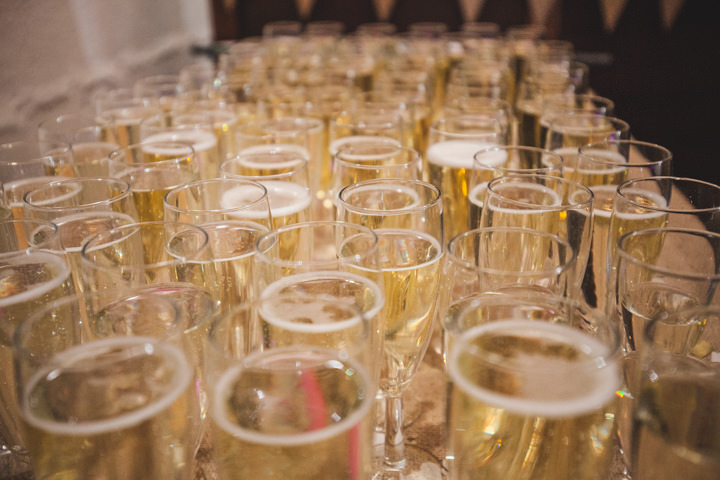 It’s a celebration so celebrate. 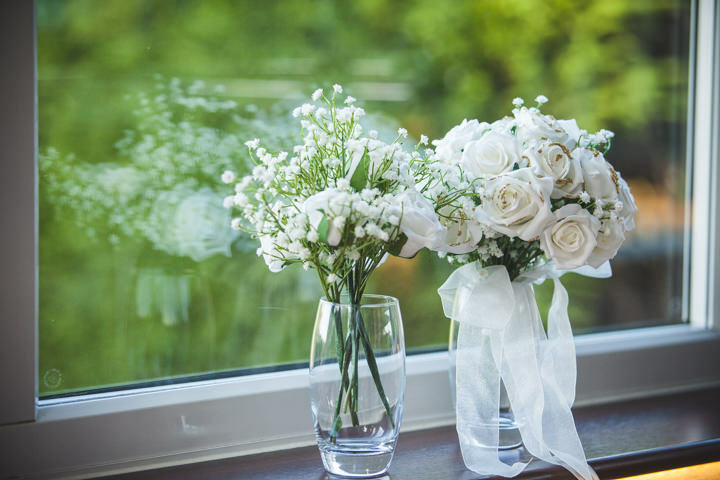 During the planning process actively spend time with your fiancé not talking about the wedding. Invest in one another, not simply your celebration day. Laugh, cry and spend quality time with each other. Liz: How much fun I had! On the run up to the wedding people kept telling me to make sure I take time to enjoy the day and take it in. 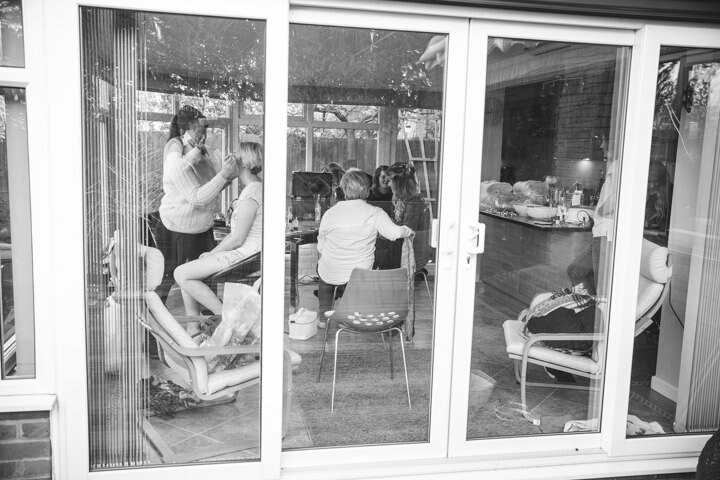 I loved having a really chilled morning and afternoon getting ready with my girls – drinking prosecco eating popcorn! A lot of blood, sweat and tears went into making our wedding happen and I am just so grateful for how much fun everyone had. 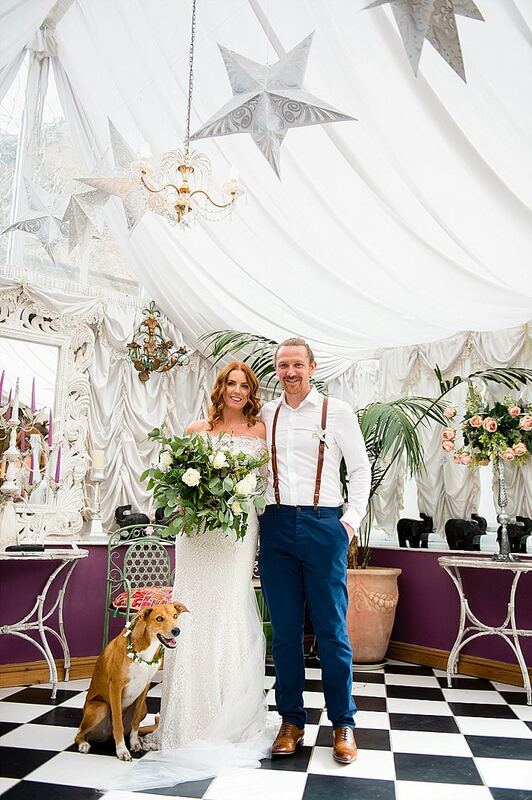 Nick: My biggest surprise was simply how it all went to plan – all our hard work paid off and everyone had an incredible evening of celebrating the beginning of our marriage. 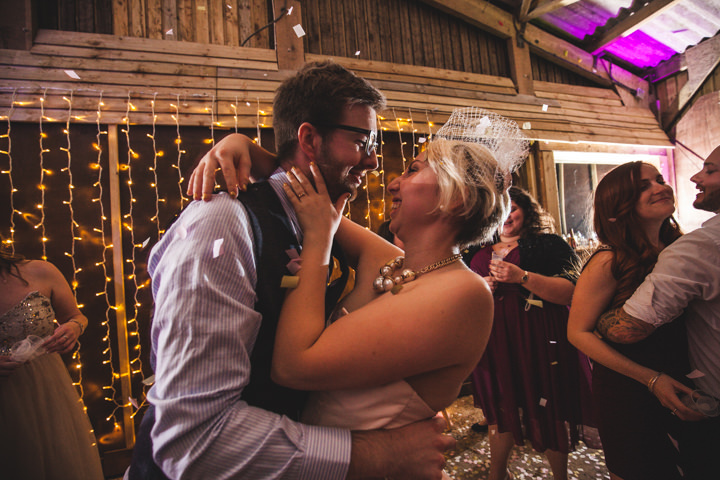 It was definitely the most fun I’ve ever had being able to enjoy every moment of our wedding because we kept things simple.